Mrs. Marie C. Ricci, 98, of Taylorville, IL passed away at 3:47 am Friday, January 12, 2018 at Life’s Journey Health Care Center, Taylorville, IL. Mrs. Ricci was a very proud 50 plus year member of Davis Memorial Christian Church, Taylorville, IL. Marie owned and operated Marie’s Beauty Shoppe in Taylorville, IL for 52 years. 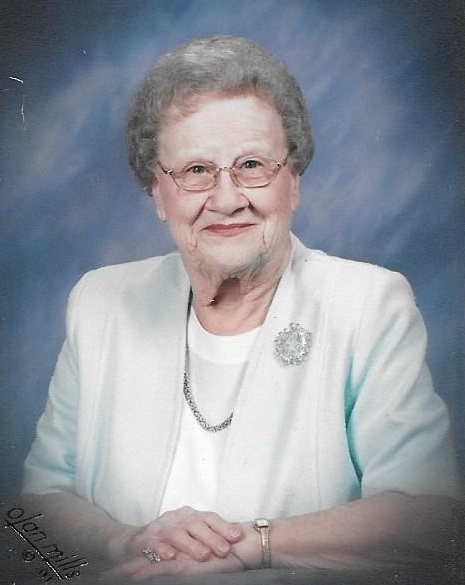 She also had belonged to: the Pinochle Club, the local Home Extension group, Christian County Senior Citizens, the evening bowling league at the Olde Bowl, and the Christian Women’s Fellowship at her church. Surviving are 2 daughters Judy (Richard) Masterson, of Kincaid, IL Marianne (Danny) Adams of Taylorville, IL 1 son Robert (Kathy) Ricci of Taylorville, IL 4 grandchildren Michael (Amy) Masterson, Sr of Tovey, IL Susan (Greg) Duncan of Wyoming, OH., and Ricci Adams of Sunnyvale CA, Alisa Whitchurch of Taylorville, IL, along with great-grandchildren Jacob Masterson, Alina & Sarina Duncan. Marie was preceded in death by her parents Otto and Anna Harrison, husband Ceasar, sister Ione VanGeison, brother Warren Harrison, Grandma Bertie Heberling, and a great-grandson Michael J. Masterson, Jr.
Funeral services will be held at 10:00 a.m. Saturday, January 20, 2018 at Davis Memorial Christian Church 1500 W. Franklin St. Taylorville, IL. Rev. Bill Kerns will officiate. Burial will follow in Oak Hill Cemetery, Taylorville, IL. Visitation will be held from 4:00 p.m. to 7:00 pm Friday, January 19, 2018 at Masterson Funeral Home and Cremation Service. To those not able to attend, please visit her on-line obituary at www.mastersonfh.com to leave condolences.